Everyone agrees that effective leaders are trustworthy, competent, and make good decisions in a timely fashion. When it comes to charisma, however, opinions vary widely. Some say charisma is an essential quality of effective leadership. Others say charisma’s antonym— humility—is an essential quality of effective leadership. So, which is it? On the one hand, we want leaders who inspire us and put forward a vision for the future. On the other hand, we want leaders who listen to others and share credit with the team. 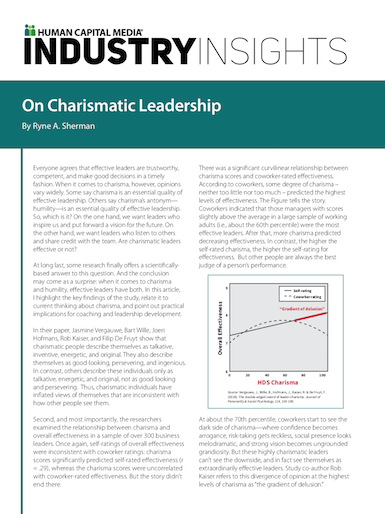 Are charismatic leaders effective or not?